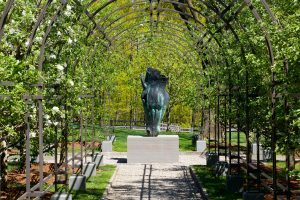 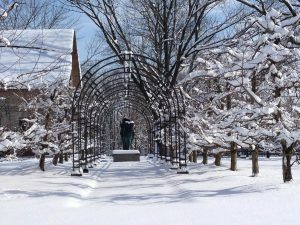 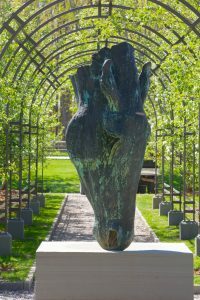 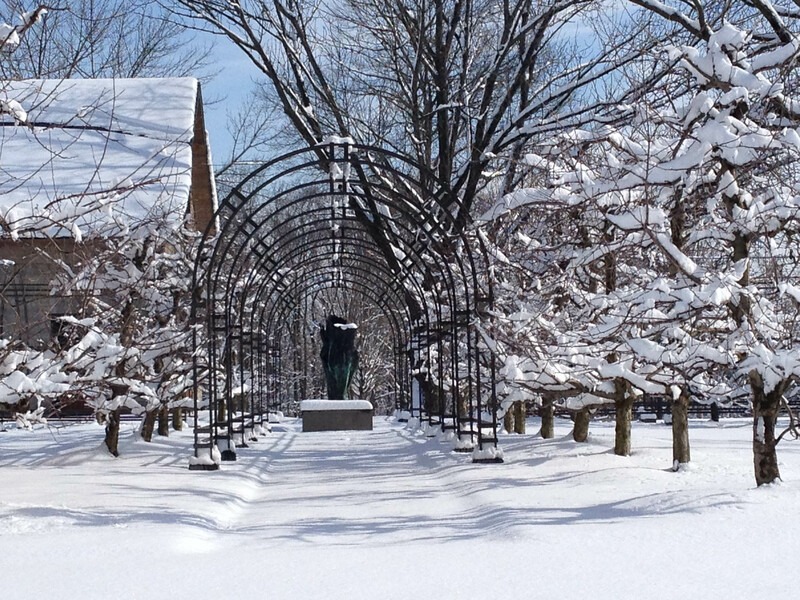 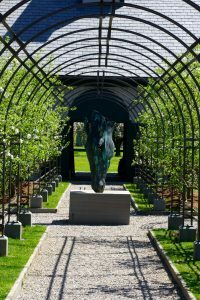 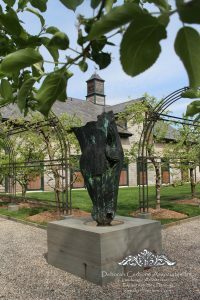 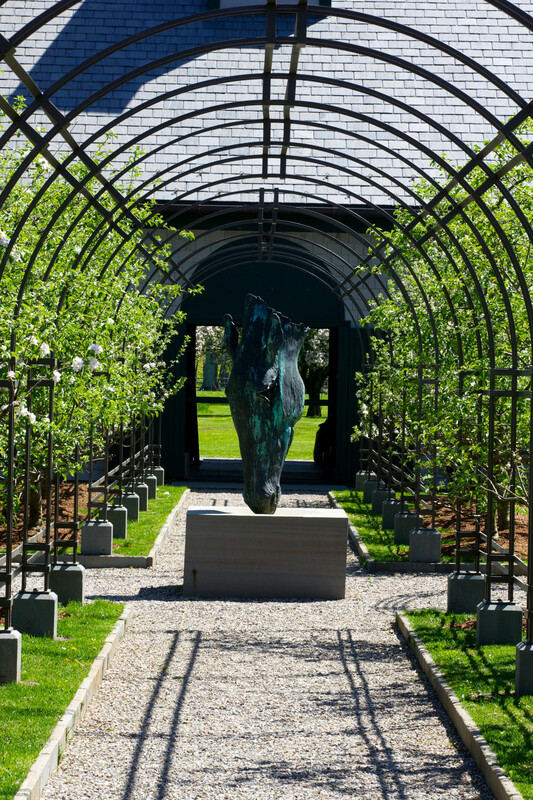 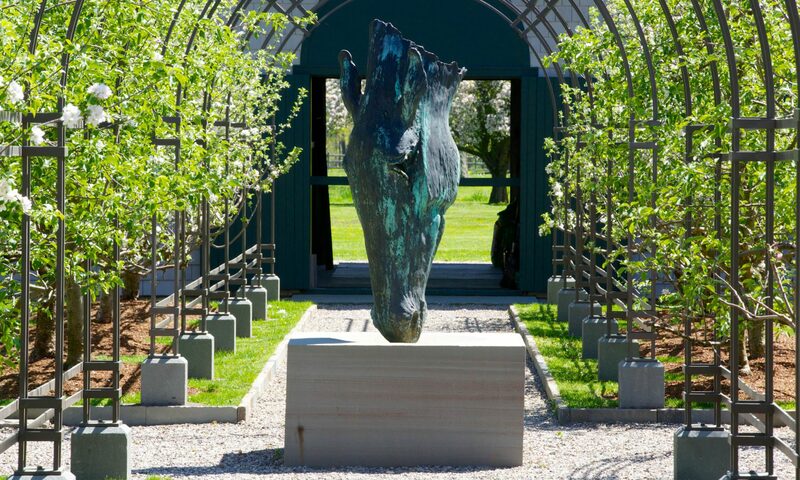 Hermitage Farm Orchard Allee, Bedminster, NJ - Deborah Cerbone Associates, Inc.
A landscape space had been designed to integrate the existing stables with a sculpture by renowned artist Nic Fidian-Green in the center, but something was lacking. 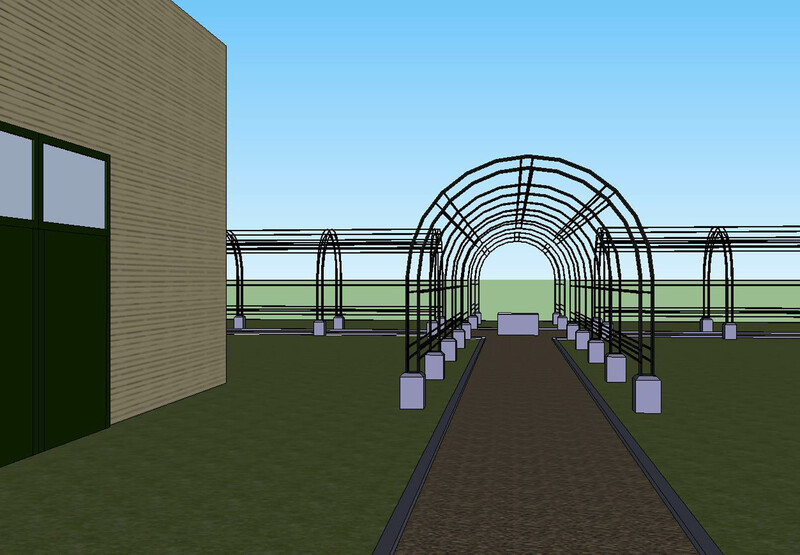 Our client wished to develop a structure to tie it all together. 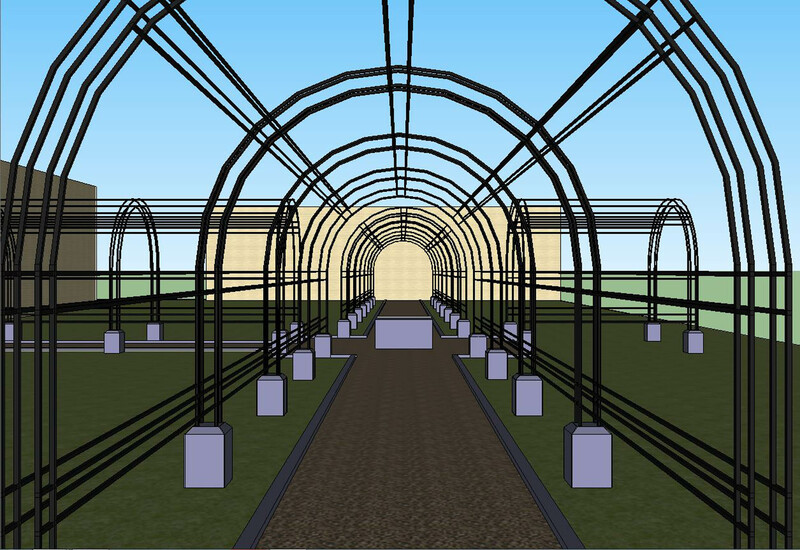 After multiple design studies, the design of an arched pergola was finalized and custom fabricated to support the existing apple trees. 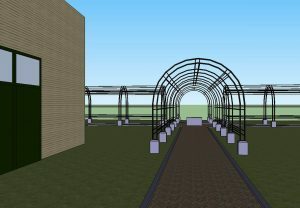 The new structure now creates a strong tie between the old barn and the new and a welcomed support to the fruit trees throughout the seasons.